A Russian woman was eaten alive by pigs after she collapsed in the pen while feeding them. The 56-year-old woman was feeding the pigs at her family farm in the central Russian region of Udmurtia when she suffered a seizure and collapsed. The pigs then fed on her body and completely ate her face, shoulders and ears. Her husband ventured into the farm after finding his wife missing. He discovered the body in the pen while looking for her. She had died of blood loss and had bite marks all over her body. The investigation into the incident was ongoing, BBC reported. A spokesman for the regional investigative committee said, “The opinion of forensic experts has been requested in this case” to “establish all the circumstances and reasons for what had happened,” News.com.au reported. In a similar incident in 2012, an Oregon farmer was eaten by his pigs when he went to feed the animals at his farm. The body parts of 69-year-old Terry Vance Garner were found by a family member in the pen. Most of his body was, however, consumed by the pigs. 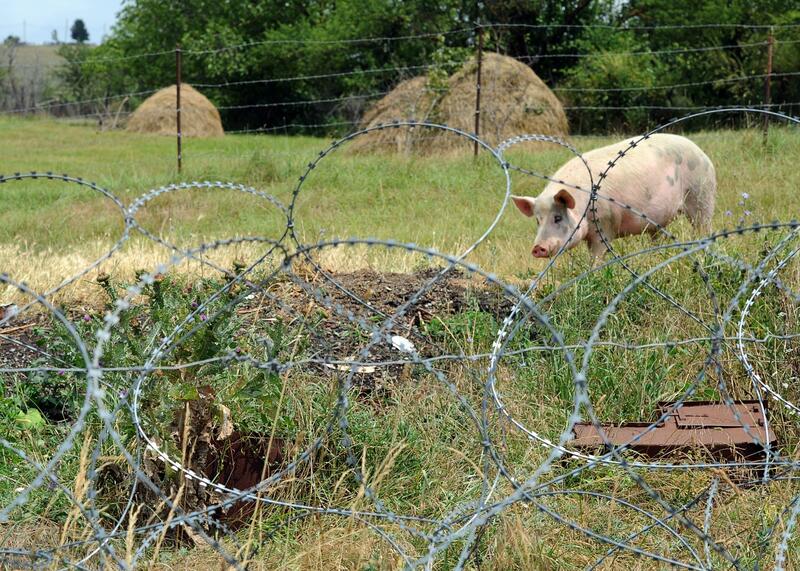 Investigators said the pigs, that weighed about 700lb each, knocked the farmer over before killing and eating him. However, they added Garner might have collapsed after an attack. Pathologists, who examined the body, were also unable to determine the cause of death, BBC reported. Describing Garner as a "good-hearted guy,” his elder brother Michael said he had raised several animals. "Those animals were his life. He had all kinds of birds, and turkeys that ran all over the place. Everybody knew him,” he said. He also added that one of the pigs had bitten Garner before and that he was about to kill it. “He said he was going to kill it, but when I asked him about it later, he said he had changed his mind,” Michael said.